I am a millennial. And as such, I am fluent in social media. Social media is like a language you invent with your sibling that only the two of you speak and your parents barely understand. Everyone, even the smallest of businesses, has jumped on social media and attempted to utilize any channel they can to humanize the company that they run. I think, though, that the most untapped social medium is the one that most companies are most afraid of: Instagram. Businesses truly should be wary of Instagram because used improperly, it can be a disaster. I am in charge of running the Marketo Instagram account this summer. Having worked on social media accounts before, I was blown away by the potential that many companies are wasting when it comes to running their business’ Instagram account. So, I am sharing some tips and tricks I have come across in doing research on businesses’ interactions with Instagram. Trust me, you’re going to go #crazy over how easy these tips really are. An Instagram Story is a way to bring your customer behind the scenes. There is something endearing about letting people see the “man behind the curtain.” In a time where the consumer is becoming more and more suspicious of traditional marketing, the trust of being let into the life of your business from 9-5, instead of only when everything is staged, is invaluable. 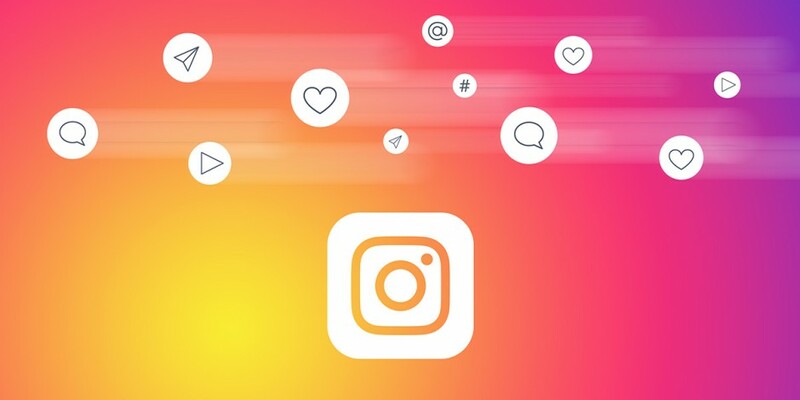 Customers want to see the human behind the keyboard, so use an Instagram Story as a way to connect with them like they’re your friend and not like you’re selling to them. Once you have successfully started transitioning the use of your Stories, you can build some Highlights that remain on your profile long-term. Highlights help your followers maintain interest in your company without being forced to believe what they see. If they like your content and you see that people are watching stories like the ones you’ve been posting, keep them on your profile using a Highlight. Using social media is just like texting someone. If you send someone five messages in a day with no response, you clearly are doing something wrong. Use an analytics platform to help you determine what posts are working and which ones aren’t. We’re marketers, so we know how to look at our habits and track what we’re doing. Use those skills to your advantage! Find a habit and stick to it, even if that means your followers only react to one post a week. Start by posting once every day, then four times a week, then three times a week, and so on, until you have the data to support that whichever posting habit you choose works for your followers. The most important thing to know is that you are never going to please everyone, but if you find a strategy that creates what I call the “attention sweet spot,” you will get the most return for your time. Instagram is like a five-course visual meal for your scrolling pleasure. Looking through someone’s account that has visual consistency is incredibly satisfying. It conveys that whoever the person is behind the keyboard genuinely cares about the work and content they’re putting into this profile. It doesn’t take much to work on a theme or an “aesthetic” for your account either. Simply use the same filter for every photo, or if you’re feeling fun and fancy, you can learn to alternate your filters so that your account looks like a checkerboard of the two colors in your theme. In simply changing the filters on the Marketo account, you would be astounded in the change in attention I’ve seen in the short time I’ve been here. It’s a small fix, but small fixes create huge impact. Hashtags are either your friend or your enemy. They’re kind of like Sour Patch candy; first, they’re sour, then they’re sweet! Using hashtags on every post is a great way to get your posts higher up on people’s discovery pages, but they also can be sour if used too often. Using the same analytics platform you chose to track your posting habits, you can figure out which ones are working. For example, through working on the Marketo account, I found out very quickly that our followers liked the #artificialintelligence, and the posts on which I used that hashtag got the most likes. So, when appropriate, I toss an AI mention at the bottom of the post and watch the likes roll in. While being smart about hashtags sounds easy, this isn’t a walk in the Internet Park: Don’t assume that you know what kinds of captions are going to work for your follower base. Experiment a little bit, learn about who is checking out your content, and monitor your account constantly. There is always room to grow, even for the most seasoned of social media professionals. At the end of the day, every business is different. There are so many ways to draw attention to your business through your Instagram account, and it doesn’t cost a dime to learn how to post smarter. I’ve found that the most successful social media accounts can be run by the smallest of groups, so don’t be intimidated by social media as a small business. Post smarter, research harder, and don’t be afraid to ask around and see what people think is working. What’s most important, though, is to have fun reaping the rewards of your hard work as the likes come in.